This exhibition charted the history of Italian Fashion from isolated, war-torn Italy in 1945 to the 21st century when the country leads the world in style, craftsmanship, design and glamour. to communicate the evolution of the fashion industry. 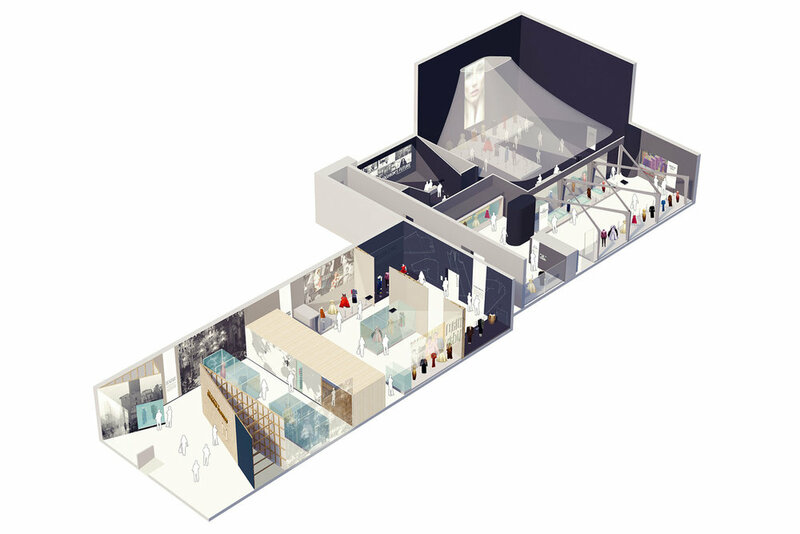 The sections were designed to exploit the height and width of the V&A’s large temporary galleries. The exhibition successfully communicated the untold story of how Italy built its global reputation for glamour. A story that many visitors did not know but the impact of which we all experience in what we wear today. "It really is a beautiful exhibition and gets the balance right between objects and exhibition design. The thoughtful design really reflects the content and makes the objects come alive." "Mowat & Company delivered the exhibition as I had imagined it, but better."